What a great family event and for a very worthy cause! The weather cooperated and people were able to enjoy the festivities both inside and outside. Besides vehicles of every description, there was lots to do and see for all ages. Of the numerous vehicles on display, the BCCCB made a fine showing. 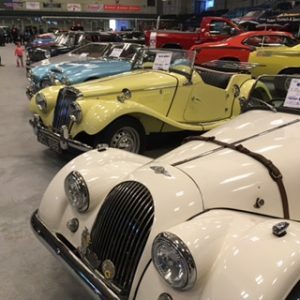 Starting the line up was Pete’s Morgan 4×4 Roaster, followed by Barc’s 1954 MG TF, Carol’s Austin Healey, Bill’s Crab (refurbished & looking great! ), Joe’s Sunbeam and Paul’s Lotus Esprit. The rest of the lineup included 5 MGB’s, looking smart with tops up and down rounding out the pack. 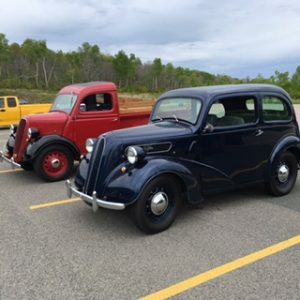 Two British vehicles owned by Donnie were parked outside…a 1951 Thames 1/2 ton truck and a 1949 Anglia. A nice conversation was had with the owner as he talked about the vehicles and a little about some history with British cars on the Island. 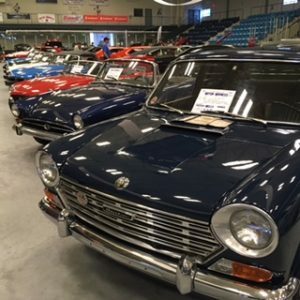 He talked about a car show in PEI with nearly 170 vehicles which concluded in top prizes for three British vehicle owners from Cape Breton. The winning vehicles were Carol & Burt’s 1967 Austin Healey , Brian’s 1968 Triumph Spitfire and Donnie’s 1951 Thames 1/2 ton truck…a great showing indeed. 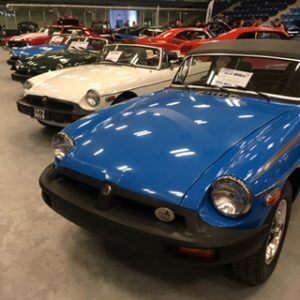 At that time, these vehicle owners and others began the conversation about forming a branch of the British Automobile Touring Association of NS, in Cape Breton and that was the origins of the BCCCB as we know it today. Many thanks to these passionate vehicle owners for their interest and dedication in encouraging the growth of British car ownership in Cape Breton. 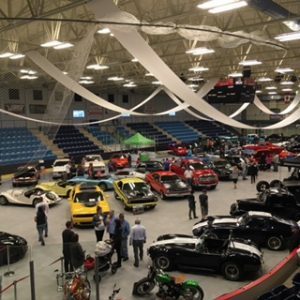 The day at the Emera Center ended with funds raised, as well as spirits as another successful event for the Northside Hospital Foundation concluded. Congratulations to the organizers and a special thanks to all those involved in the project, including our BCCCB member, Mary. Thanks to Donnie S for the copy of the “old” photo and information about a little BCCCB history!